We’ve pretty much all experience road rage at some point in our lives, yes? Or if you’re like me, basically every instance in which you’re in or around a vehicle? I’d like to say I’ve been pretty good about keeping my rage in check while the kids are in the car. 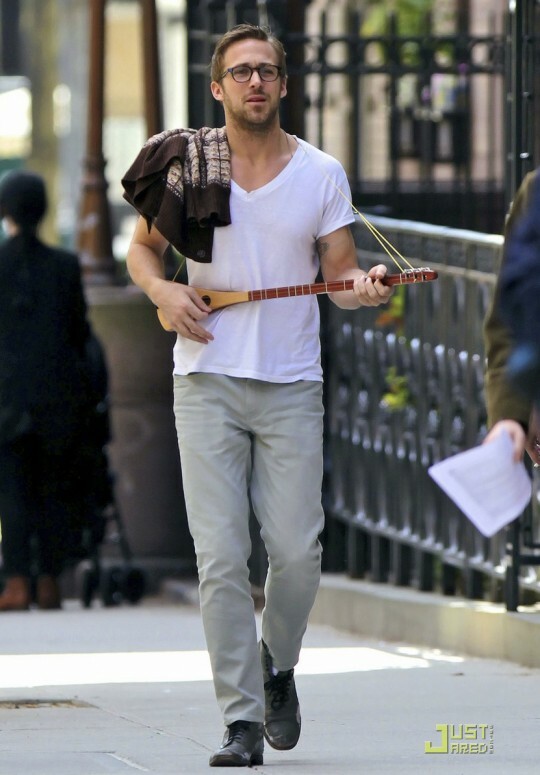 Then again, I’d also like to say Ryan Gosling is standing on my doorstep with a tiny guitar. ANYWAY. The following story is a good reason why I should probably censor the rage a bit. One morning last week, I took Maddie to Starbucks with me. We were just about to turn into the drive-thru when a white car cut across 3 parking lanes and sped in line ahead of us. It was a douche move, I’ll just say that right now. In my frustration, I threw up my hands and made a few unintelligible noises. No cuss words, just angry sounds, growls, etc. Maddie and I both speak in a growling voice on occasion. No idea when that started. Maddie picked up on the subtle hint that I was unhappy and said, “WHAT DID THEY DO?” I told her the ladies in the white car were being rude and dangerous for cutting in line and almost hitting our car. Oh yeah, and I wanted my coffee like, 3 hours ago and how dare they get in my way!? She immediately joined the fight. The car moved up in line as she gave them The Most Evil Stare I’ve ever seen. She said, “Thank you, white car!” followed by a nice, cheesy smile. We moved up behind the car again and this is where things turned quite diabolical. Growling, “I don’t like that white car, Mommy. They are mean for driving in front of us. I’m going to get No-No to scratch them in THE FACE!” (No-No is my parents’ cat, named by Maddie when all she could say was the word ‘no’.) I’m sure this doesn’t sound as bad (or as hilarious) as it was, but if you guys could hear her little sweet, yet angry voice saying these things, you’d die. Like any good mommy would do, I told her it’s not very nice to wish cat scratches on the faces of our enemies. Then we proceeded to make silly faces at the driver through their back window. I think we all learned a good lesson. I can always count on you for some good belly laughs. I really hope that white car saw those faces you were making. P.s. that last gif is absolutely ridiculous! My M has road rage too!! I stopped cursing at other drivers when she started repeating everything we were saying, and I started saying things like, “that was not nice”, or “that was very rude of you”, and she started telling cars they needed a time out. I die every time. Ohmorgosh, way harsh Tai!! I say that when I hear something mean, cause I’m a crazy movie quoter… But I totally get the road rage thing. My little has imitated me, and there were profane words used. Oopsie :( I’m horrible! maddie is my kind of girl…sometimes, people just deserve cat scratches to the face!! I love your blog. Is that too forward? Well I do, this post especially. Thanks for the great laugh and, the little girl in the white in that last image is crackin’ me up!!! For real, my co-workers are giving me odd looks as I try to stifle my laughter. Thanks for a good giggle! This cracks me up… I can only imagine! Major props to you for not completely losing it and still being able to teach her what not to do. Momma points! Oh Toddlers and Tiaras, thank your for adding a gif to this hilarious story. bahahahaha…oh my word..get em maddie!! All Ryan needs is a kitten and then the world would end. omg, this seriously made me laugh out loud. Like I’m sitting here eating some edemame and snort laughed almost causing me to choke.